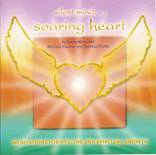 Silent Mind...Soaring Heart is a guided meditative journey into realms where the mind is perfectly silent and the heart is open and free. For beginners as well as advanced meditators, Silent Mind...Soaring Heart will introduce you to inspiring spiritual healing practices of the Sufi Mystics and Qigong Masters. Meditations included are: Elemental Breath Purification; Points of Light Meditation; Qigong Color Healing Meditation; and Climbing Down the Spine. Download link is made available in your account as soon as payment is received.